As home prices continue to rise throughout Southwestern Ontario, the quaint town of Waterdown remains a great option for homebuyers looking for an ideal location and even better value. 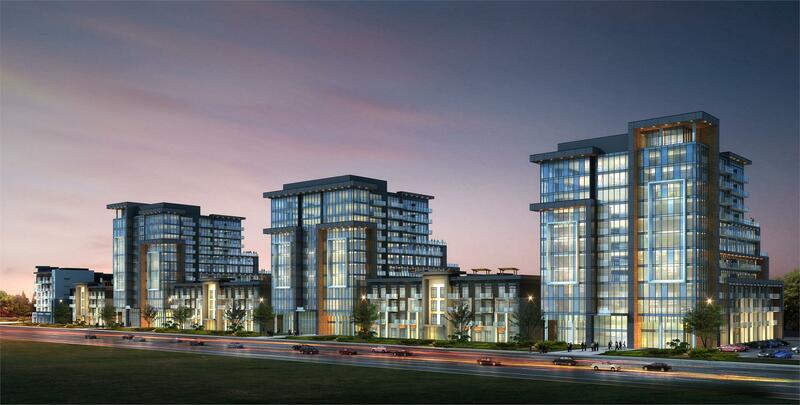 Developer New Horizon Development Group sees the potential that Waterdown offers and has flocked to the area to launch Trend Living, a new four-building, master-planned community at the corner of Dundas Street East and Burke Street. The Burlington-based home builder has achieved rapid success with their previous four communities, in large part due to their ability to build developments that meet the demands and desires of today’s homebuyer, while also reflecting the realities of the housing market. Consisting of three phases, Trend Living boasts a contemporary collection of mixed-use buildings designed to complement the surrounding low-rise residential neighbourhood. Dynamic facades feature modern glass and precast cladding, contrasting colours and architectural lighting. Priced from $239,990, the 12-storey tower in phase one will house 251 suites ranging in size from 505 square feet to 1,100 square feet and includes a cost-efficient and eco-friendly geothermal heating and cooling system. The thoughtfully-designed layouts are bright and open with generously-sized living spaces, gourmet kitchens and large bedrooms. Plus, homebuyers will have the opportunity to customize their homes based on their personal tastes and preferences at New Horizon’s award-winning Design Centre. On-site amenities include convenient bike storage, a state-of-the-art gym and yoga studio, a sleek party room for entertaining friends and family, and a rooftop patio for alfresco dining and enjoyment. Even more amenities are just minutes away in Waterdown’s downtown village, dotted with art galleries, shops, cafes and restaurants. Nature lovers will appreciate the community’s proximity to parks and greenspaces including City View Park and Smokey Hollow Waterfall, while commuters will enjoy easy access to two nearby GO Stations, downtown Burlington, and downtown Hamilton. Sales at Trend Living will begin this spring. Be sure to register online at TrendLiving.ca for the latest updates. For more information call 905 777 0000 or email info@nhdg.ca.